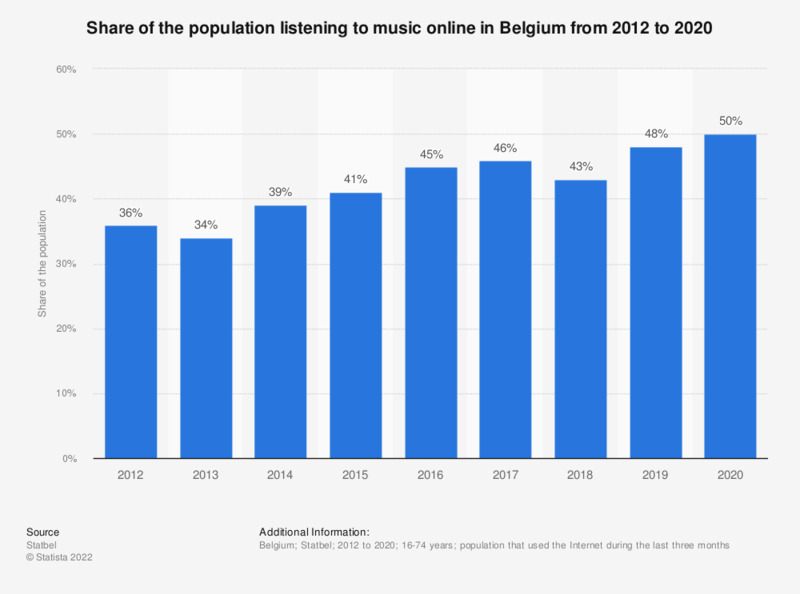 The statistic displayed above shows the share of the population listening to music online in Belgium from 2012 to 2017. In 2017, 46 percent of the Belgian population that used the Internet in the previous three months listened to music online. Everything On "Music industry in Belgium" in One Document: Edited and Divided into Handy Chapters. Including Detailed References.